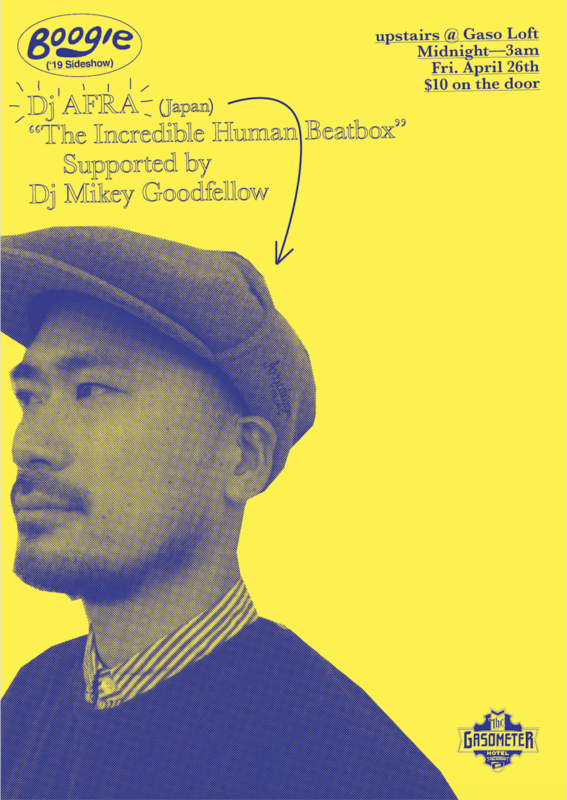 Boogie Fest presents Dj Afra Hailing as Japans Amazing human Beat machine. A sweet late night party experience rarely seen in Australia. Half hour live Beatbox showcase and Boogie on down records spinning till late.